Having been to Pulse, TSIA's TSW, CS100, and Customer SuccessCon, I was excited to check out Totango's CSSummit with 1000 CS aficionados. Common themes from all sessions were a focus on the customer's experience/journey, more in-depth understanding, and realizing the impact of your reputation. The actionable LAP (Listen, Action, Pilot), Acronym Soup, and the business case where buyers pay a premium for effortless (easy to buy, use, and service) were gold. This leads to your customers being less curious about your competitors. Thank you, Nicolle Paradise, for already having the recording available! Beyond your external customers, Rachael Donovan of One Door shared about the importance for TMobile's internal customers. By delivering consistency in their stores, removing the friction of outdated processes, & scaling a new effortless experience to benefit their consumer customers in a highly competitive market. Even as a poster child of viral customer adoption and growth, Slack, understands that customers continually need a guide to drive impact and get results. Curating this experience is an iterative process. With more technology and data available, why are we still segmenting by ARR alone? Costal Cloud's Jamey Jeff recommends sophistication and use case which is in line with Boaz Maor & Ralf Wittgen's CMI. 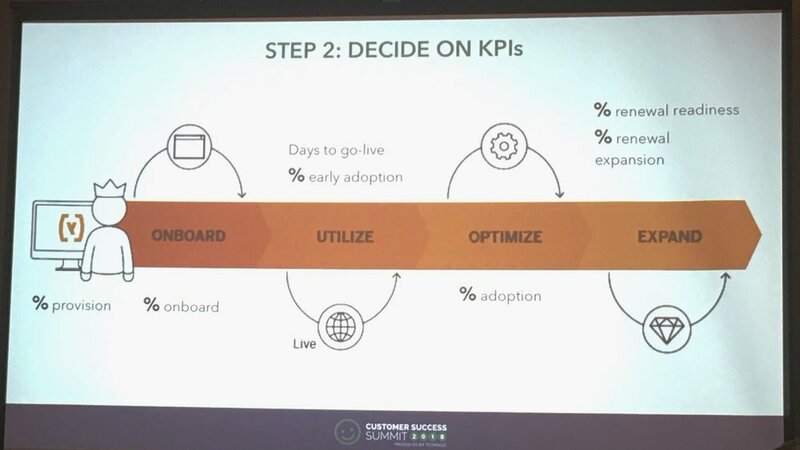 This was iterated during a panel with Travis Bryant (VP of Customer Growth, Front), Gillian Heltai (VP Client Services, Talkdesk), and Nate Rosenthal (Head of Global CS & Ops, Square) led by Kia Puhm. One of my favorite quotes was from Travis, "If you mash all the colors you get brown. Maybe a pretty shade, but you have to get in there to start separating the purples, greens...etc. to get a deeper understanding"
Emilia D'Anzica (VP of CS, Qordoba) shares stats confirming almost all customers/prospects ask about you (91%) or read about you (78%) before they even think about getting to know you. Furthermore, Ed Powers from Service Excellence Partners emphasizes the landscape where ease of switching + lack of attachment makes over-selling or setting wrong expectations an easy path for disillusioned people to leave you. This applies to your customers and employees. Along the lines of setting (and aligning) on expectations, thank you to SAP's Krista Glantschnig (VP, Global Head Digital Customer Engagement) for sharing this customer journey w/ KPIs. With so many other sessions I wanted to join, I look forward to the recordings/slides to come in the next couple of weeks and would love to hear from others who were also at CSSummit18 on their takeaways! If you enjoyed this post, you might also like Customer Focus Effect Takeaways.